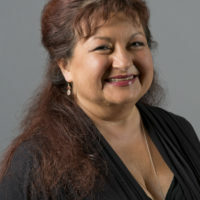 Dr. Lisa Moreno-Walton is Professor of Emergency Medicine at Louisiana State University Health Sciences Center and Secretary- Treasurer of the Board of Directors of the American Academy of Emergency Medicine. She holds a Doctor of Medicine degree, a Master of Science in Clinical Research degree, and is a National Institutes of Health PRIDE Research Scholar. Dr. Moreno is the recipient of the Society for Academic Emergency Medicine Marcus Martin Leadership Award, the Alpha Omega Alpha Medical Professionalism Award, and the Council of Residency Directors Distinguished Educator Award. At LSU, she serves as Director of Research, Director of Diversity and Director of HIV & HCV Testing and holds a faculty appointment in the Department of Surgery at Tulane University. The recipient of many research grants, Dr. Moreno has over 350 national and international presentations, 40 journal publications, 6 book chapters, and an authored textbook. Her research interests include HIV, violence prevention and treatment, diversity and healthcare disparities. She designed and administers a culturally competent HIV prevention and testing program in New Orleans. As a global health consultant and educator, she has served in over 30 countries to support the development of research, violence treatment and prevention, and the elimination of healthcare disparities.